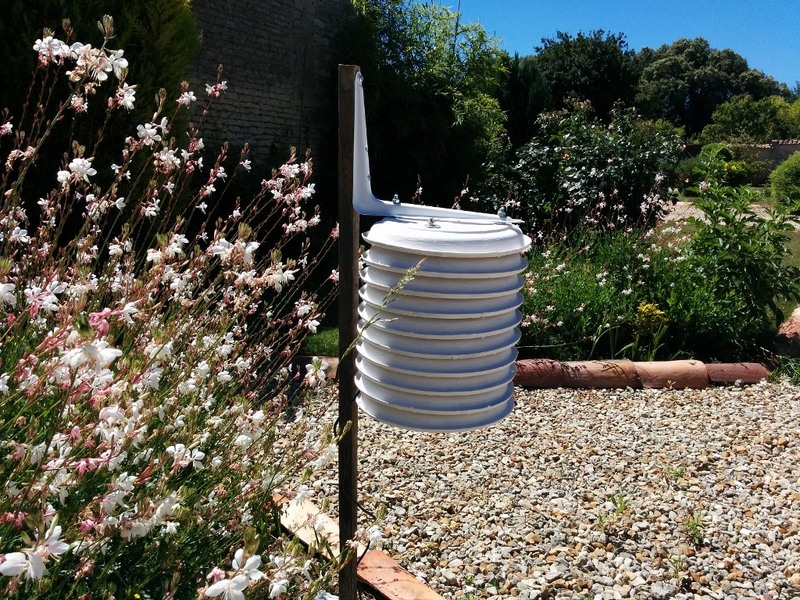 Once the Metpi setup and adjusted, it was time to put it outside. 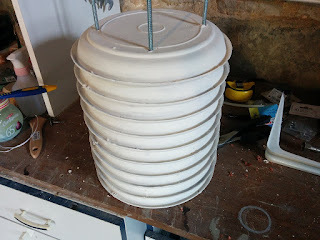 I looked around at how to build a suitable housing and even though the Stevenson box would look nice, it would be too difficult to build to a high standard. 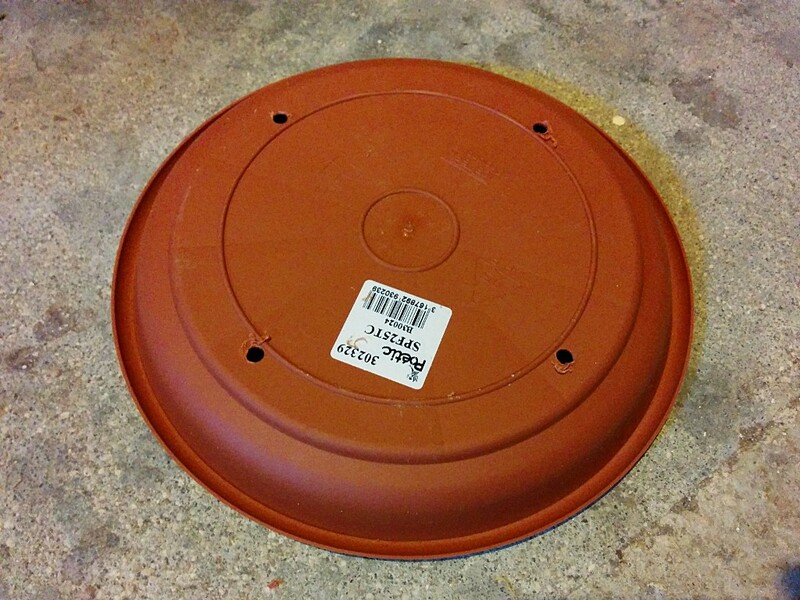 So I went low tech and built one with plant pot plates. 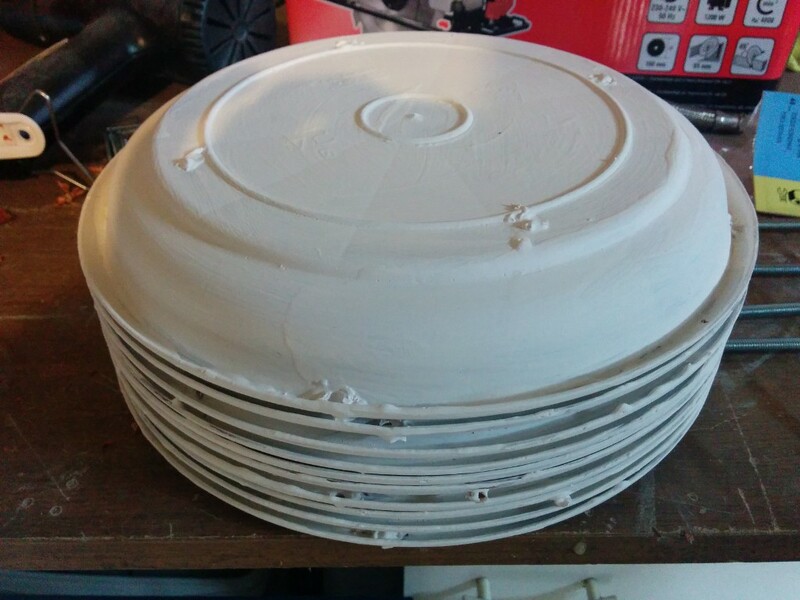 I got 10 24cm diameter plates from the local garden center. 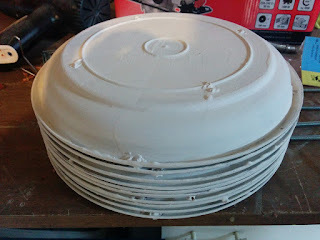 I cut the inside of 8 of them and kept 2 full ones for the top and bottom plates. There are ways to cut nicely, e.g. 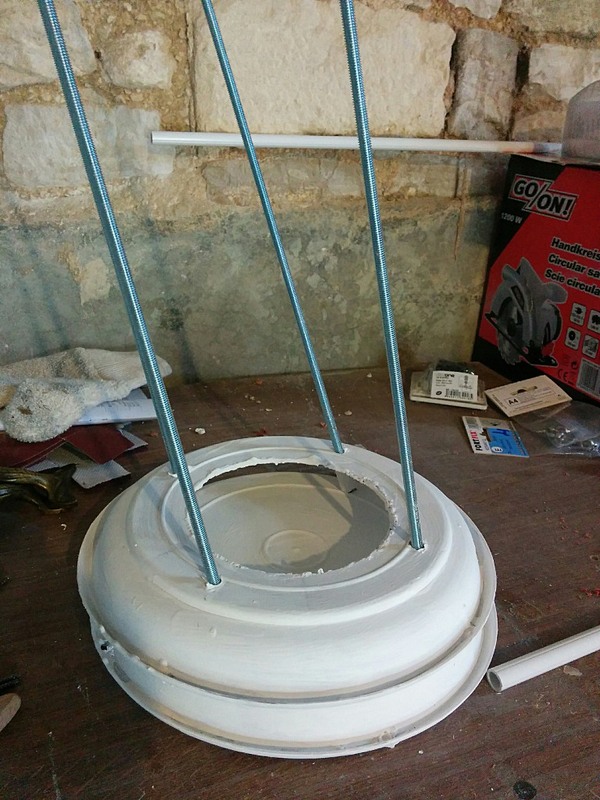 with a heated tin can, but I couldn't find one large enough. So I cut (read melted) with a Dremel. The next step was to paint them white to reflect the heat and the light. Notice the holes. Each plate needs 4 wholes for structure. 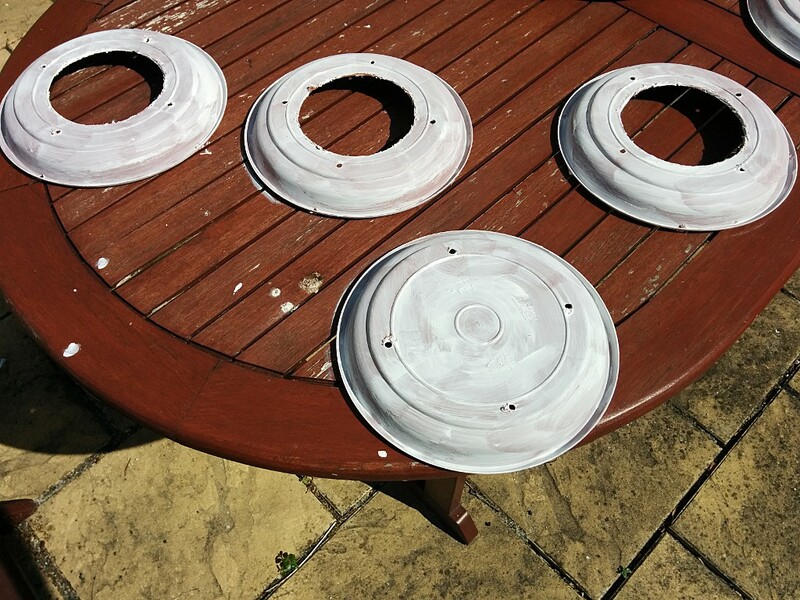 If you get plates with a lip, remember to drill them too to avoid water accumulation. 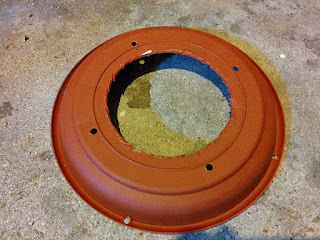 I used a PVC paint undercoat and then concrete outdoor paint. 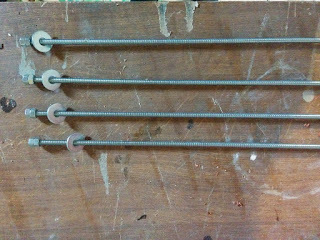 I then cut long cut-to-size 6mm diameter bolts to run them through the plates. 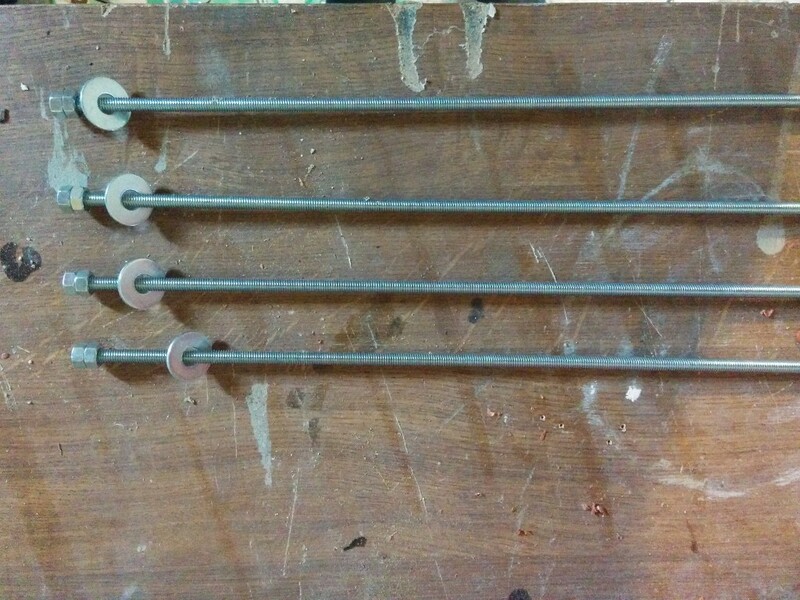 Countersunk nuts at the bottom and pile up the plates separated with 2.5cm of 10mm diameter pipe for spacing. You don't want the space to be too wide but it needs to let the air in. Half way up, insert the Raspberry pi + Sensor Hat + DS18B20 temperature sensor (for comparison). 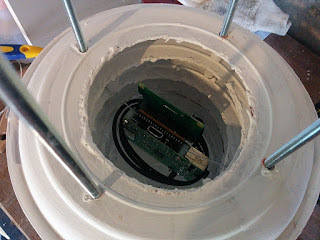 I attached the pi to the tubing with tin wire. Not perfect but will do for now. In time I need to figure out a way to make sure no water can run down the wires. Finally at the top, a full plate. I used a bracket to hang it to a small post and a waterproof junction box to house the power supply. The location isn't ideal, too close to gravel which will reflect the heat. In time I'll move it to grass. I don't know yet how the pi will behave outside. I worry about corrosion. We'll see over time.